The Economic and Organised Crime Office (EOCO) will today meet the directors of defunct UT Bank for them to answer questions on what roles they played that cause the collapse of the bank. UT Bank directors will be followed their colleagues from Capital Bank on April 4, 2018 whose bank also collapsed under the same circumstances as UT Bank did. Invitation comes after damming findings is said to have been made against them after an investigative report on the collapse of the two banks was submitted to the Bank of Ghana (BoG). The Central Bank in 2017 August, revoked the licences of UT Bank and Capital Bank due to severe impairment of their capital. BOG then at the time approved the purchase and assumption transaction the collapsed banks with the GCB Bank Ltd receiving all deposits and selected assets of the banks. The liabilities of the two banks, according to the central bank at the time, overwhelmed their assets, which left the BoG with no option but to undertake a purchase and assumption transaction as the least costly method of dealing with a collapse. According to the graphic online, the investigative report revealed, among other key findings, that the two liquidated banks were run by owner chief executives, with complete disregard for internal rules and banking regulations. The directors of two banks would be made to answer questions on how they singularly made decisions on credit extension and breached all the rules regarding related party transactions and connected lending. 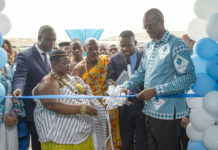 The Governor of the BoG, Dr Ernest Addison, at the inauguration of the new Ecobank Ghana Head Office in Accra earlier this month, said the two banks suffered from weak corporate governance standards. “The principal factors that caused the demise of the two banks were very poor banking practices existing within the banks,” he said. The central bank assured the public that it had sharpened its focus on a strong supervisory regime that effectively identified threats to safety, soundness and stability in the financial sector. “In this regard, the BoG is transiting from the current capital measurement framework to a risk-based capital requirement based on the key Basel II and III pillars,” the governor said. The takeover of two banks at the same time will be the first and biggest in the history of the banking industry in Ghana. The development is part of moves by the government, through the BoG, to restructure the banking sector. The move is to rescue the two from further challenges, as both balance sheets are currently in the red. It is expected that the assets and liabilities of the two banks will be realised and settled respectively through a receivership process to be undertaken by Messrs Vish Ashiagbor and Eric Nana Nipah of PricewaterhouseCoopers (PwC). The purchase and assumption agreement allows the GCB Bank to take over all deposit liabilities and selected assets of both the UT and Capital banks, per Section 123 of the Banks and Specialised Deposit-Taking Institutions (SDIs) Act, 2016 (Act 930). The news of the collapse of the two banks had shocked many, since the two banks had won numerous awards for performing successfully in the industry. Just a year ago, Capital Bank swept three awards at the Ghana Banking Awards. The bank was once named as one of Ghana’s Most Respected Companies. It was also adjudged the Best Growing Bank, the Best Bank in Deposits & Savings and the Best Bank in Household/Retail Banking at the 15th Edition of the event, while UT Bank was adjudged Best Bank in 2011 by the same institution. UT Bank is one of Ghana’s most celebrated brands, after it evolved from a microfinance company into a successful bank.